San Holo is having an incredible 2018 with releasing his debut album “Album1” and it charting at #7 on the Billboard Dance/Electronic Albums chart. This not only landed Holo his first top 10 album he also achieved many producer’s dream of playing the main stage at Tomorrowland! We have always been huge fans of his from the beginning so it was only a matter of time before we made a dedicated collection of sounds. 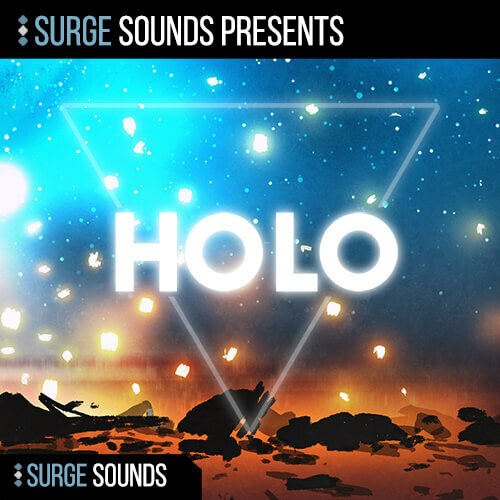 Now, after months of creating, we’re excited to finally present our San Holo inspired pack, HOLO. Inside this pack you’ll find creative sounds crafted with maximum care, guaranteed to take your productions to the next level. With 15 Best Selling Future Bass packs in our catalog we’ve covered artists ranging from Flume to the Chainsmokers. When it comes to providing you with the best, nothing is left to chance so once again we focused our top Future Bass producers on a single goal – To provide you with the best Future Bass sounds. This collection contains 128 expertly crafted Serum presets heavily inspired by San Holo’s signature sounds from bird plucks to soaring leads to those larger than life saw chord synths. One characteristic of San Holo is his use of Vibrato so we specifically included a vibrato macro in this soundset. You’ll discover all 4 macros are engaged on every preset. This will give you the freedom to tweak and customize the presets to your artistic sound. These macros include vibrato, filter, reverb, chorus, delay, detune, drive, sub, WT pos, room, noise, morph, rate, attack, stereo & crush all giving you ultimate expression, control and creativity. 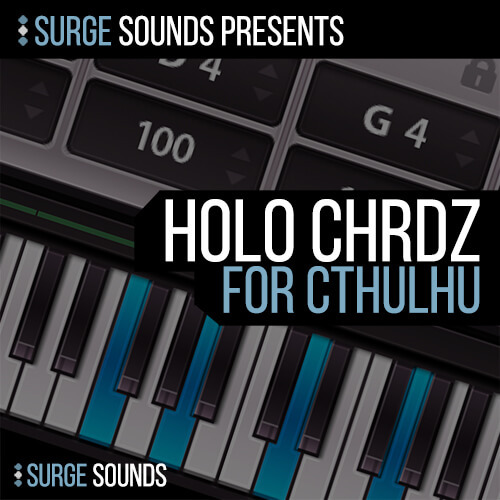 We specifically designed a dedicated Cthulhu Bonus Pack – Holo CHRDZ. You’ll discover 24 creative Cthulhu presets with 3 and a half octaves of chords on every preset. That’s 42 chords per preset! We used the white and black notes with 1000 plus chords in all 12 keys. Major, Minor, Suspended 2 and 4, Add 9 and 11, 6th and 7th chords, you name it Holo CHRDZ has it! To top it off you’ll discover 5 top notch 100% Royalty-Free construction kits in 5 keys and BPMs. They come with 433 cutting edge loops organized by arrangement. The loops are organized into folders like Intro, Break, Build and Drop for ultimate ease of use. We included 161 powerful stems to take advantage of when you build your own artistic production. They are organized into folders like Melodic, Drums and FXs so you can instantly find exactly what you’re looking for. Expertly designed MIDI is one of the most powerful tools for a producer but is also the hardest to find so we included 71 MIDIs in this pack. They include not only Melodic MIDI, but the even more rare to find Drum MIDI. To complete this collection you’ll discover 49 crisp drum one shots from the demo. They have been processed and are production ready to be dropped into your session. We guarantee that what you hear in the demo is exactly what you’ll get so grab this collection and supercharge your sound today!